Established in the year 1991, Parekh Engineering Company, Mumbai, is one of the leading suppliers, traders and exporters of a wide range of optimum quality Pumps, Motors and Gearboxes. Under this range, we provide customers Kirloskar Pumps, Rotodel Gear Pumps and KSB Pumps. Available with us at standard market prices, this product range is highly appreciated among our customers for their attributes such as easy installation, low maintenance, corrosion resistance, thermal and pressure resistant, high tensile strength and excellent performances. In order to offer our customers unmatched quality products, these are procured from our well known business associates such as Kirloskar Brothers Ltd, Rotodel and KSB. We are supported by highly dedicated team of professionals, which aids us to acquire higher level of clients’ satisfaction. All professionals of our firm work in close contact with each other to ensure steam-line operations. The professionals, we have in our team are procuring agent, sales & marketing personnel and logistic personnel. Our logistic personnel ensure the timely delivery of products at customers’ end. 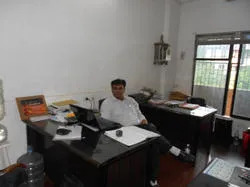 We are currently operating under the leadership of, "Mr. Manish Parekh". Due to this vast experience in this field, we have been able to meet the diversify requirements of our client base. 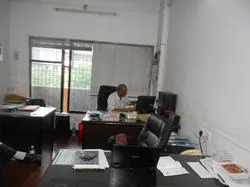 His motivation and guidance help us delivered optimum quality product range in promised time frame that have gained us client base all across the globe. We export our product in Middle East, Africa and Asia. Driven by an intense desire to attain maximum client satisfaction, We try to give safe and timely delivery of our product range. Keeping their convenience in mind, we offer our customers multiple payment options such as cash, DD, online and cheque. We are an eminent supplier and exporter of an exclusive range of Pumps, Motors and Gear Pumps. These products are available at unbeatable prices to the clients. In order to offer our customers high quality product range, we procure these products from well known names in the market. We believe in making a mutually beneficial relationship with our customers by providing them with high quality product range in promised time frame. Due to our ethical policies followed, we have gained commendable success in short period of time.